Former Trump campaign adviser George Papadopoulos said Friday that he is considering withdrawing from a plea agreement he has had for more than a year with the special counsel’s office. In an interview with “Fox & Friends,” the 31-year-old Papadopoulos asserted that he was “framed” by Western intelligence agencies, including those within the U.S. government. Papadopoulos was referring to his testimony Thursday to a joint congressional task force investigating the FBI and Justice Department’s handling of the Trump-Russia collusion probe. It is unclear what was said in the deposition, but the two Republican lawmakers who attended the session said they came away with the belief that the FBI investigation was built on a faulty premise. “What we’re finding without talking about specifics of what’s going on is that the whole reason that this investigation was opened up was certainly not one built on a solid foundation,” North Carolina Rep. Mark Meadows told reporters after Papadopoulos testified. Papadopoulos was the catalyst for the FBI’s investigation, which began on July 31, 2016. But despite the initial focus on the Trump aide Papadopoulos, the FBI probe soon went in various other directions. 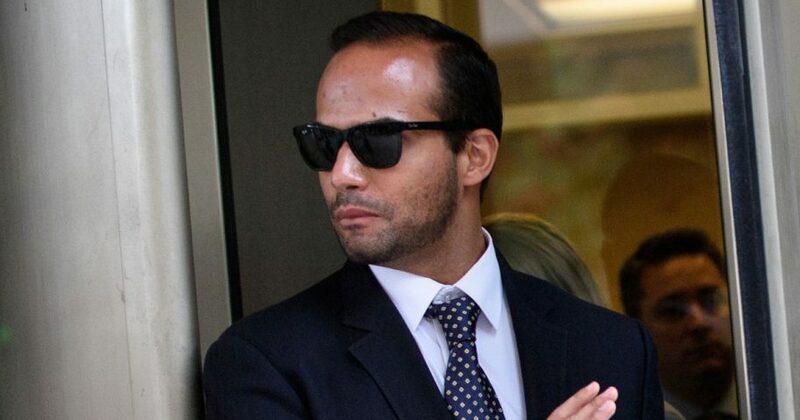 Papadopoulos, a Chicago native, received only a 14-day sentence on the relatively light charge of making false statements to the FBI. Papadopoulos’ sentence stems from his remarks during an interview with the FBI on Jan. 27, 2017. Papadopoulos, who entered the plea agreement on Oct. 5, 2017, acknowledged lying to FBI agents about the timing and extent of his contacts with Joseph Mifsud, a Maltese professor who he believed at the time was working with the Russian government. Papadopoulos told the FBI that Mifsud alleged in April 2017 that Russians told him they had “dirt” on Hillary Clinton in the form of “thousands” of her emails. But he acknowledged that he initially lied by claiming he met Mifsud prior to joining the Trump team in March 2016. Papadopoulos denies seeing or disseminating any of the emails allegedly mentioned by Mifsud. He also says he does not recall telling anyone in the Trump campaign about Mifsud’s remarks. Two weeks after that fateful encounter with Mifsud, Papadopoulos met in London with Alexander Downer, who then served as Australia’s top diplomat to the U.K.
Downer claimed that Papadopoulos mentioned Russia having derogatory information on Clinton. The diplomat has said he relayed the information in a cable back to his Australian counterparts. The Aussies shared the information with the FBI in late July 2016, after the release of emails hacked from the DNC. The FBI’s investigation, which was taken over by Special Counsel Robert Mueller, soon veered away from Papadopoulos into other directions. Papadopoulos, without providing evidence, now says he believes he was entrapped by Mifsud, Downer and others he met during the campaign. But Papadopoulos was approached by at least one FBI informant, Stefan Halper. The former University of Cambridge professor flew Papadopoulos to London in September 2016 to meet under the guise of discussing writing an academic paper. Papadopoulos has said that Halper asked him during one of their conversations whether he was involved in hacks of Democrats’ emails. Papadopoulos says he told Halper he had nothing to do with the hacks and that he considered them treason. Papadopoulos has floated the idea in the past of withdrawing from his plea agreement. Before his sentencing last month, Papadopoulos’s wife, Simona Mangiante Papadopoulos, told The Daily Caller News Foundation that he was considering dropping his attorneys and exiting the plea deal. It was unclear at the time whether Papadopoulos would legally be able to leave the plea agreement. It could be even more difficult now that he has been sentenced. A spokesman for the special counsel’s office declined to comment on Papadopoulos’s remarks.